I love holidays. And I especially love Christmas. As tradition goes, the day after Thanksgiving is the day to start Christmas songs, to decorate and get the Christmas tree. I am pretty sure I was so happy that day I cried. The last month or so has been extra stressful for me. A lot of changes, disappointments, and situations out of my control. 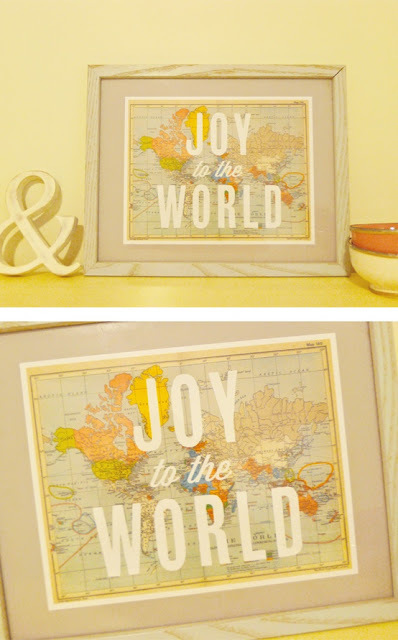 I started this holiday season listening to Joy to the World. I've heard this song so many times. It is just 'part of tradition'. Most people probably listen to carols this way - as sort of the soundtrack to the month of December. But I stopped and really listened to the words. I had 'a moment,' as I sometimes do. The lyrics really spoke to me, the way scripture would. It was very poignant. I was brought to tears thinking about what joy really is. It is not affected by circumstances. It is God-given. It changes your perspective and attitude. And when you really take the time to acknowledge the gravity of what God did on Christmas...whoa..how can you not be full of joy? And heaven and nature sing." After my Joy to the World moment, I started to listen to all my favorite carols with a different ear. 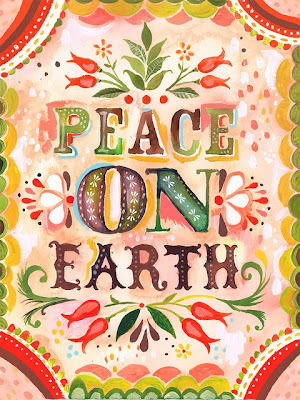 I was so struck by the amount of hope and peace this holiday sings about. I have always loved the way I felt at Christmas but I never really attributed it to the fact that the world (whether recognized or not) is celebrating a holiday of joy, hope, love and peace. Emmanuel shall come to thee..."
Yes! This is my prayer. That one day our sad divisions will cease. And I also hear the nativity story every year. But I really listened this year. This is the God I worship and serve. A God who entered this earth as a baby, so that God may dwell with God's people. 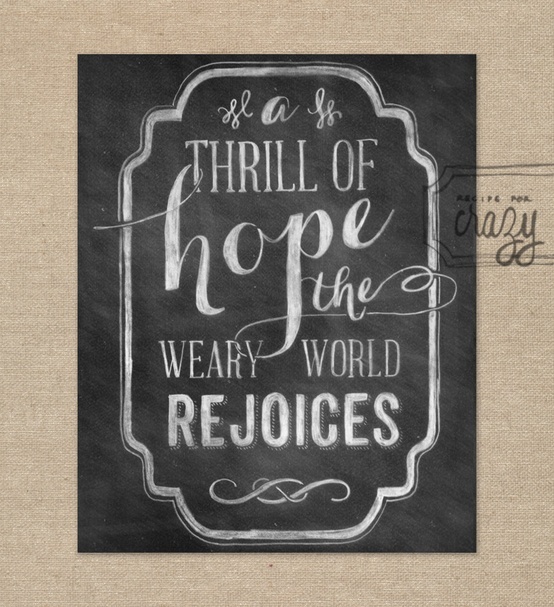 A God that desires peace and joy on this earth for every person. 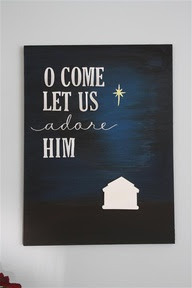 God, who is Emmanuel - with us. Now and always. and really ponder the gravity of what Christ did. 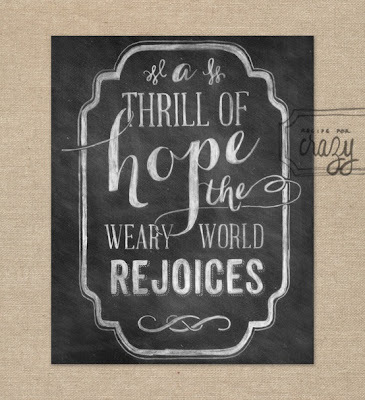 May you be filled with the joy, hope, love and peace that comes from God this Christmas.